I spend a couple days in San Francisco this week, and was able to carve out a couple hours to visit Britex Fabrics. I must say, the store did not disappoint. I barely managed to make it to three of the four floors, and I truly felt like a kid in a candy shop. There was so much PRETTY stuff around! I went in with a max budget of $200, and I was hoping to get fabric to make the body suit for my New52 Poison Ivy costume, as well as finding a fabric appropriate for me to cut the leaves out of. I also wanted to find some fabric to start working on my Elsa costume, because it is so difficult to find the right colors and I have never dyed my own fabric before. I ended up only getting fabric for Elsa, because I didn't find anything fitting for Ivy, at least in the time that I had. Scrolling up, it appears that I didn't detail my plan for my Elsa costume. The costume is actually going to be three parts and a prop. I'll be making the actual dress, two capes, and then an Olaf. The goal is to have a shorter cape that does not drag on the ground, and then the longer one which will be rigged so that Olaf "carries" it and it doesn't really drag, since dragging and getting stepped on will pretty much destroy it. I'm not putting that much beading work into a piece to have it fall apart after a few times. Anyway, I got a nylon-lycra, a sort of spandex swim fabric, for the body of the dess, and then an organza for the sleeves and short cape. It is absolutely beautiful fabric, and I overbought a bit, since I'll be having to mess with stuff like beading and some ombring. I also decided that, instead of doing a hidden zipper under the cape or under the arm, like I originally planned, I'm going to make the back lace up, so I bought what I needed to do that, too. If you can't tell, I'm really excited about this. Oh! And this will be the first costume that I am making my own pattern for, too. EDIT: OH! and on the third floor, where the notions are, they have these really cool brown and green leather flowers that I absolutely loved (but did not buy, because I couldn't think of how I would use them), and some vintage hat pins. I ALMOST got those to add to my Mad Hatter costume, but restrained myself. I really, really want to go back. Everything was so shiny. Ooh, that store sounds like a really great place to browse! Those fabrics sound lovely for an Elsa cosplay, too. You'll have to keep us posted on your progress with the outfit. I love seeing people's designs, but personally, I've never really thought very much about cosplaying myself... it sounds like it would be fun, though! I never did that much "playing dress up" as a kid; maybe it's time I gave it a try. 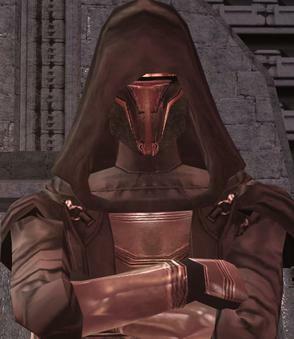 My current costuming project is putting together the outfit of a Jedi Knight. I'm hoping to be done in time for the next movie. Oooh, that outfit looks really cool, Mel! You'll have to post pictures of your progress. Are you planning on wearing to the movie theater? Speaking of cosplays for movies... have any of you tried to put together an outfit before seeing the movie? I remember seeing people doing that before some of the Narnia films, and I was always extremely impressed that they were able to come up with such accurate and detailed designs while having so few screencaps and such short clips for studying. I can imagine that the pressure to finish it before the film comes out so you can wear it on the night of the release must be pretty immense. Thank you! My current plan is to complete it and wear it to the movie theater. (It depends on what sort of costumes I see in the trailer and how badly I decide I want to see the film. ) For sure I'd like to get it done by Halloween so I can wear it to work that night. Just the hem left, and then I'll be done with the cloak. I did costumes for LWW and PC. Oh, and I was a hobbit for the first installment of The Hobbit. Fun times! 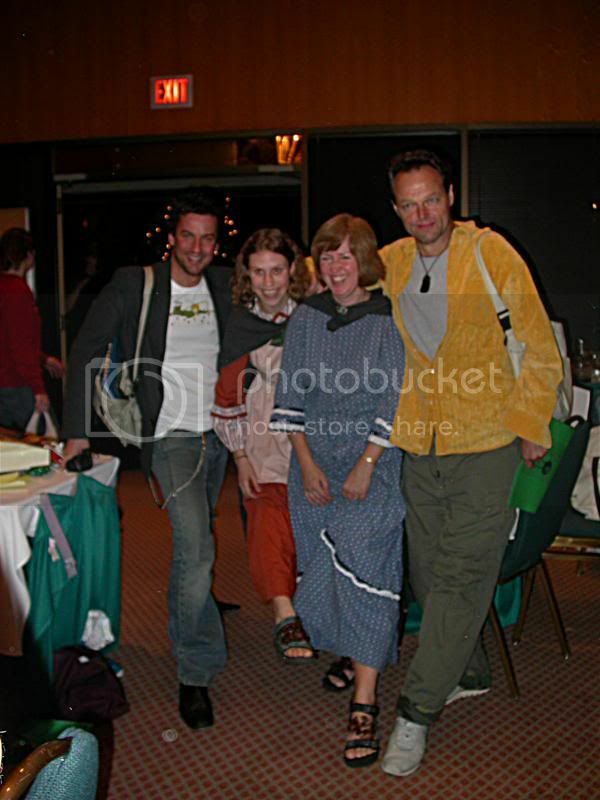 *happy sigh* Seeing your hobbit photo brings back many happy memories of that time. Meltintalle wrote: My current costuming project is putting together the outfit of a Jedi Knight. I'm hoping to be done in time for the next movie. Oooh, that sounds like fun! I hope you finish it in time--and I want to see it when you do finish! 1. My Ditto Story character, though I'm still missing a couple of pieces. 2. A makeshift Darth Revan (from Knights of the Old Republic costume. I never made the face mask and the "armor" is just a sort of decal I had my mom sew together, since I'm not talented enough to make it look like actual armor. 1. 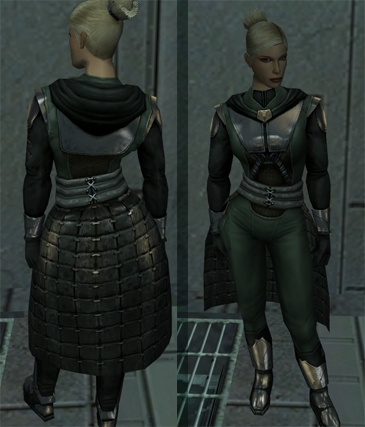 A Jedi Exile (from Knights of the Old Republic II) costume, especially since that character is actually canonically female. That's going to be a bit harder, though, since I don't LIKE her canon appearance (hence no picture), and she doesn't really have a definitive look. I suppose I could just use a basic Jedi Knight outfit, or I could go with this armor, since when I play the game, she's almost always wearing that armor. I just have no clue how to make something that actually resembles that kind of sci-fi armor. 2. A Mesmer from the Guild Wars games. The fun thing about Mesmer armor is that, while that example is one of my favorites, mesmers are basically illusionists who dress in very fancy/formal, Renaissance-type attire, and behave quite a bit like duelists (they're actually illusionists). This is a costume that I would probably assemble, if I could find pieces that I thought worked well together. I actually already have a mask I like for it, though I'll probably have to repaint it at some point. 3. A couple of my own characters, who I don't have pictures for. I have a couple of my own superheroes that I'd like to make costumes for, if I can ever figure out how. Admittedly, most of this is wishful thinking--especially since I only seem to think of it around October, and it quickly becomes obvious that I will not finish by the time Halloween rolls around. For the most part, I'm just going to sit back and see all the cool stuff you guys can make. Lady A, when you finish that Elsa costume, I expect pictures. Elsa has, regrettably, now been put on hold twice, as I first didn't want to work on her when I was traveling, and, second, now that I'm home, I'm looking at applying for a position where I would have to be in really tip-top shape, and so I would have to refit everything basically the moment I finished it. In better news, I found some beautiful fabric while I was traveling, my favorite of which is a red lace with gold detailing. Now I just have to figure out what to use it for. I'm also considering going back and revisiting my Assassin's Creed design. But, before I do any of that, I need to sit down and figure out what repairs need to be made before the Ren Faire season starts. Oh, is anyone thinking of going to SDCC this year? I've wanted to go the past few years, but it hasn't worked out. Plus, I've learned it's far more fun to do stuff with a buddy than on your own, so I'm still buddy hunting. Hey, has anyone done any work with patterning by hand? Any advice/links/helpful tips? yay, cosplay costuming. Gotta love it. well, I'm currently working on the purple dress for Princess Sofia from Disney's Sofia that First. I love that show. And I would also like to make a cosplay of Elsa's winter dress and possibly Frozen Fever dress. Costuming is so much fun and it's a creative outlet for me. I'll be checking out other people's costumes as well. I've decided to give cosplay a try, and I have ideas for a costume which I think will look good (kind of Game Of Thrones-meets-Gilbert and Sullivan). But I've no idea what kind of thing I can expect at a ComicCon-type event. Do people dress up at these, or would I look silly wearing my costume? Do people talk to each other and welcome newcomers, or would I end up wandering around on my own? ComicCon is pretty much made up of dressed up/costumed people. People even make up elaborate plans about when they are going to wear what costumes and coordinate them, while others wear the same thing every day. In some cities, you can get free public transportation for the day if you wear your Con costume, some places will give you discounts, etc etc. Basically, just don't break anything while acting out scenes and it won't be a huge deal. Oh, and be ready to take pictures with folks. Most of the time, no one will go out of their way to welcome "newcomers", because except for the Yaya Hans of the world, most cosplayers will look unrecognizable from con to con, and there are just so many that beside the group of friends you build, you most likely won't consistently recognize folks. If you're concerned about not making friends, drag one along with you. In general, most folks are generally friendly. I suggest you do a good amount of googling/online research. Cons tend to have their own sets of rules/suggested behavior, and it's generally a good idea to know what is generally acceptable and what is not. I saw one advertised in a town near Manchester, but it didn't fit timewise for me, and I haven't got any costumes with me (packed away in New Zealand), so I will have to start shopping in charity shops for a hobbit outfit at least! Wow that's a short list...but I haven't watched much TV/movies lately except for reruns of The Red Green Show and World's Dumbest. And of course the BBC's Narnia chronicles. I guess I'm more time periods than actual characters. Victorian era, medieval/Renaissance, and pioneer/Little House type outfits.